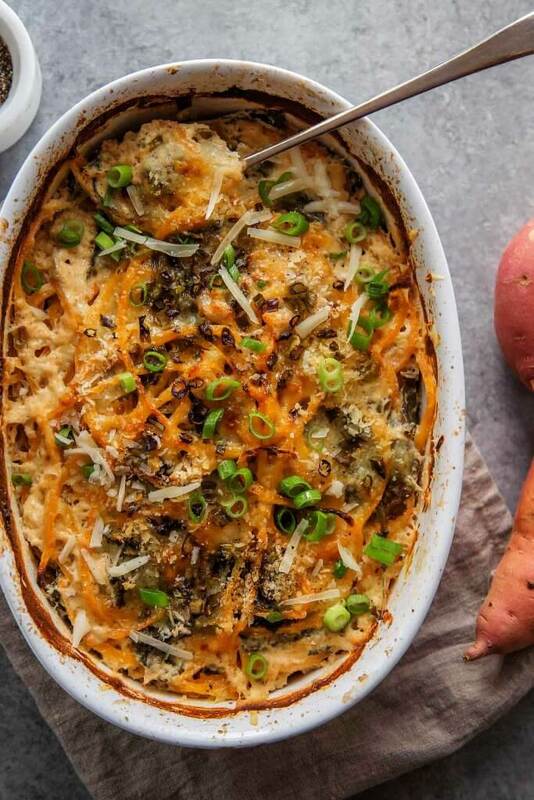 Creamy, hearty and warm, this sweet potato au gratin is a perfect side dish for the coldest days of the year. Plus, it’s so easy to cut small strips of sweet potato with your new kitchen gadget. See the recipe. 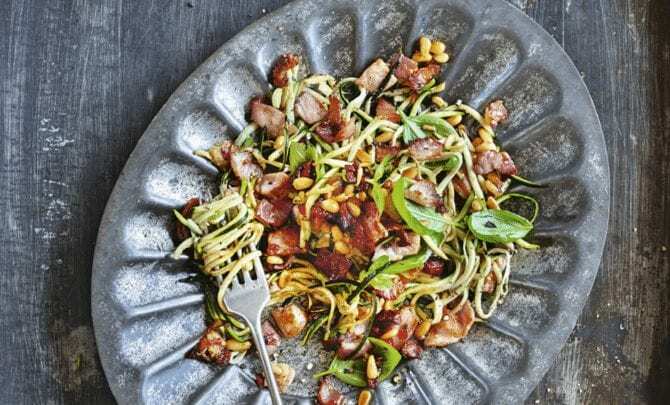 This spiralized dish is served with garlic, sun-dried tomatoes, bacon and basil. 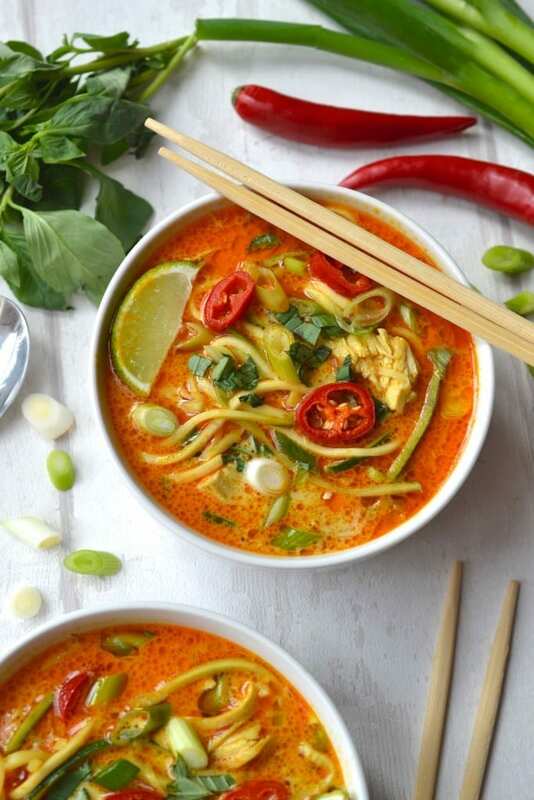 So flavorful AND you get a serving of veggies. See the recipe. 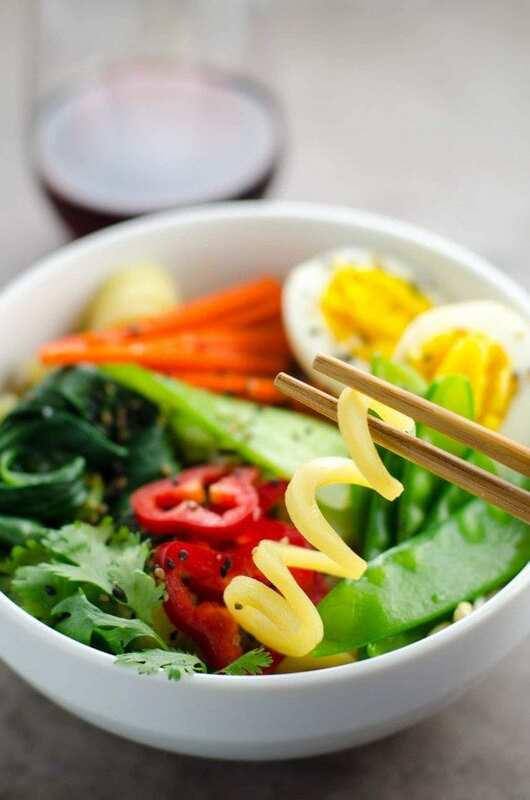 Try this quick and satisfying bowl of vegetarian miso ramen with a twist of potato noodles. See the recipe. 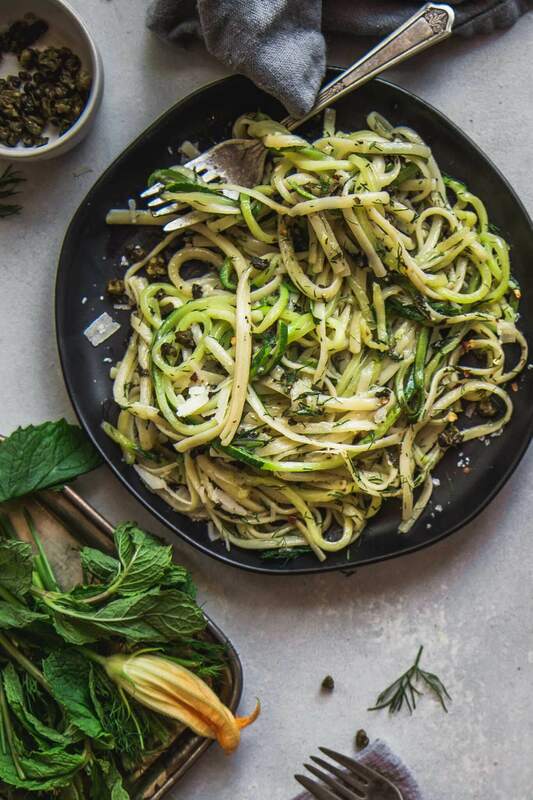 Half and Half Linguini uses half “real” noodles and half zucchini noodles for a tasty treat with less calories. 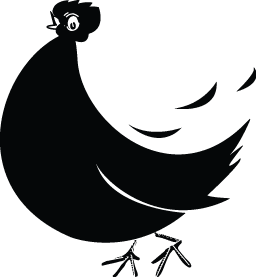 Plenty of fresh herbs – mint, dill, and parsley – brighten things up along with the briny capers which are fried until crispy. See the recipe. Pin this stunner and make it in the summer! 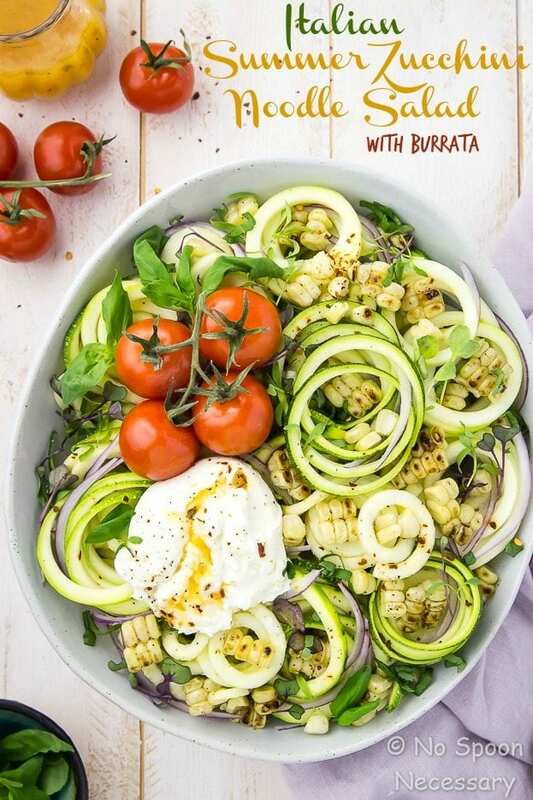 Crisp zucchini noodles are tossed with Italian dressing, topped with charred corn, pungent red onions, juicy tomatoes, fresh basil and creamy burrata. See the recipe. Throw your beets in that thang! See the recipe. 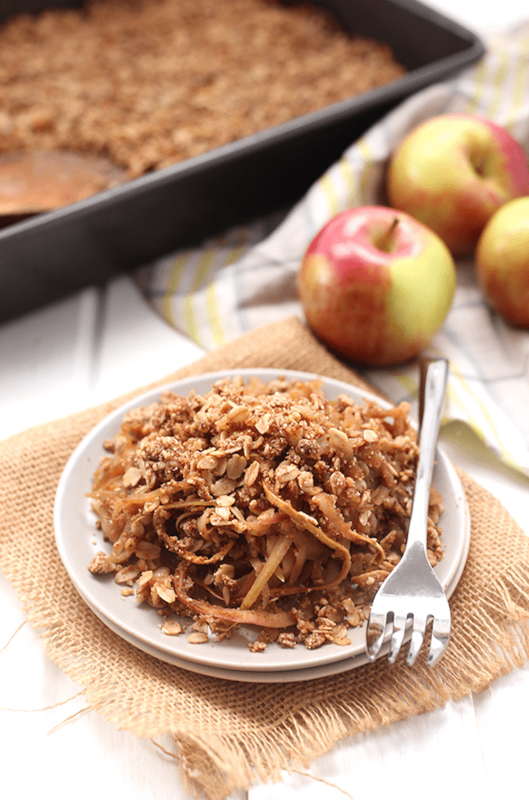 Rather than spending your time chopping, spiralize the apples for a quick crumb. See the recipe. 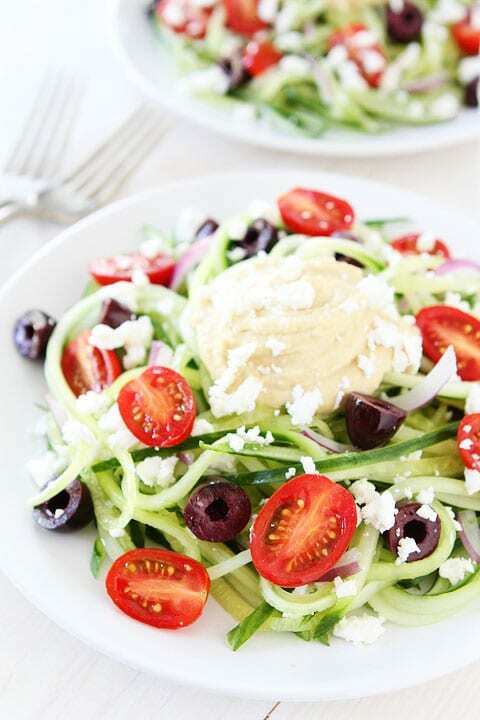 Simple, flavorful, fresh. See the recipe. 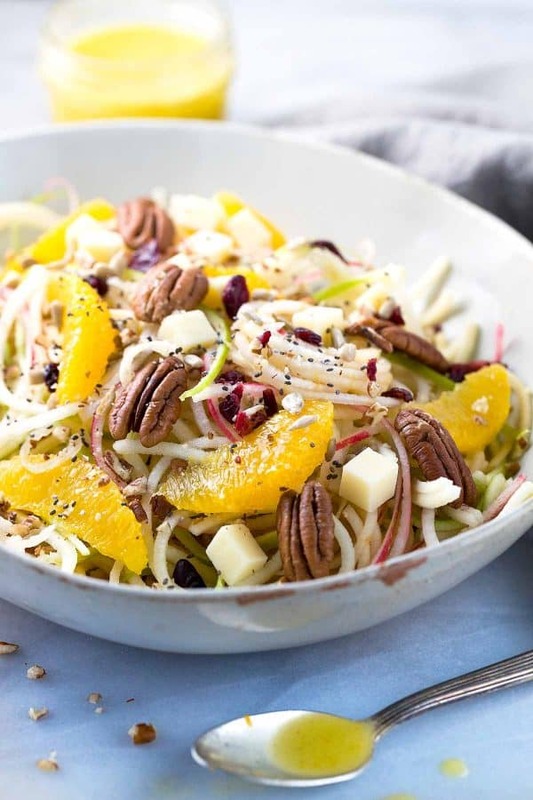 A refreshing apple salad topped with oranges, pecans, cheddar cheese, cranberries, sunflower and chia seeds. See the recipe. 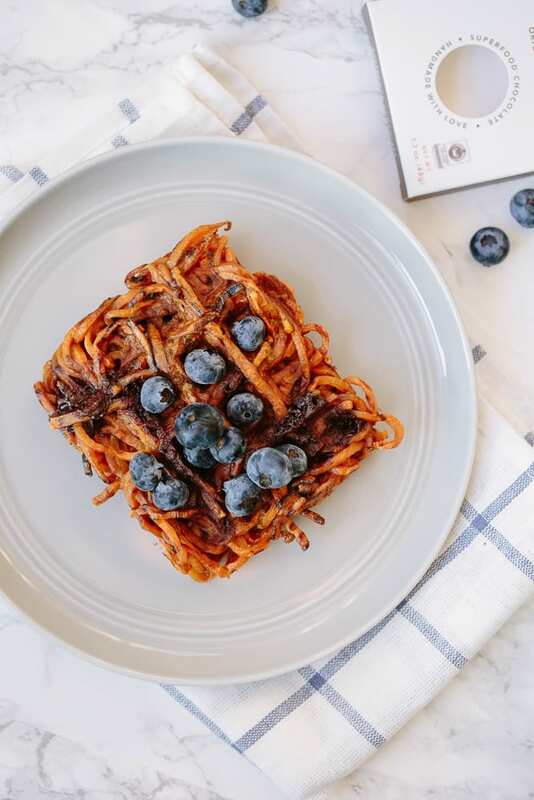 Sweet or savory, spiralized foods make deliciously crispy waffles and are way easier than grating a bunch of potatoes. 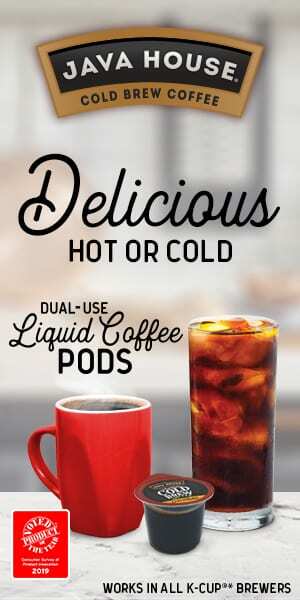 Check out this sweet recipe! Want to make quick-pickled red onions or cabbage? 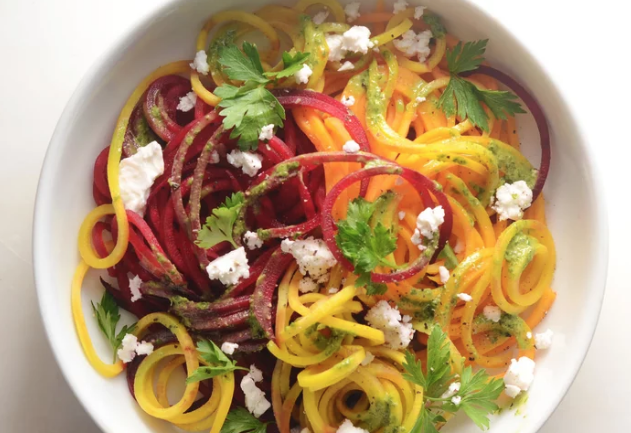 Throw them through your spiralizer to cut them quickly.